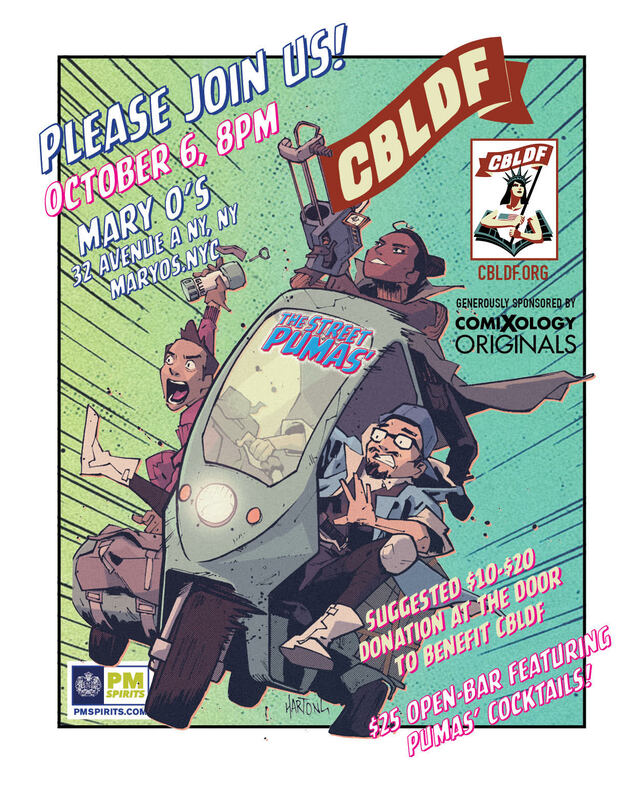 Join the Comic Book Legal Defense Fund, ComiXology Originals, and the STREET PUMAS from PM Spirits, Saturday night, 8 pm, at MARY O’s, in the world-famous East Village, for a New York Comic Con exclusive event! Mix and mingle with comic publishers and professionals! Experience cocktails from PM Spirits! This event will take donations at the door, with a two-hour open bar for CBLDF Members, and anyone donating $25 or more. Gift bags at the door while supplies last! To stay up to date with CBLDF during NYCC2018, make sure to follow us on Twitter, Facebook, and Instagram to get reminders, exclusives, and other great info about supporting free speech during the East Coast’s largest comic and pop culture convention!